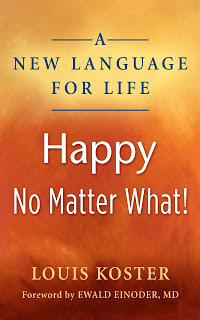 In his new book A New Language for Life: Happy No Matter What!, Dr. Louis Koster shows you how to transform your life from a place of higher awareness, to trust yourself and life, and experience an overall sense of peace and well-being—no matter what. Why did you feel compelled to write A New Language for Life? Louis: I was humbled by my experiences. There is no other way of saying it. I felt entrapped by the circumstances of my life and at some point realized that there was nowhere else to go. I knew that the way I viewed the world had to change. This was my defining moment. I realized that if I considered life as fundamentally good, I may as well trust what was occurring in my life as fundamentally good, rather than condemning it. I made then and there a commitment to be happy and content, no matter what the circumstances of my life. This commitment became a passage of awakening and higher awareness that allowed me to transcend the circumstances of my life and reclaim my capacity to manifest my life. I then became willingly compelled to share this message of awakening and inner peace with others. Why would someone want to read A New Language for Life? Louis: Entrapment in our circumstances is the human experience without exception at some point in a person’s life. In A New Language for Life, Happy No Matter What!, readers are invited to dwell in two powerful affirmations–The Choice and The Insight, which by its own unique design, open up a passage of awakening and higher awareness without changing anything about the circumstances of your life. The Choice andThe Insight release being from its entrapment in language and allow readers to experience an authentic freedom to be and be present again to the true joy of life.What makes A New Language for Life, Happy No Matter What! so appealing is the simplicity of its passage. A New Language for Life, Happy No Matter What! is attractive, since the title of the book is attractive and captures people’s immediate attention. Is there a particular timely nature of the subject area? Louis: We live in an era of unprecedented change and are trapped in cycles of crises. In depleting the resources of our planet, we may lose the fragile web of life that sustains us on planet earth. There is more at stake in being happy than our individual happiness, since a commitment to being happy brings about a sense of oneness and perspective to our experience of life. Readers learn that our default way of being is insufficient to deal with our current issues and concerns and that true survival of the human race is only possible inside of oneness. Are there specific benefits from reading your book? Louis: Dwelling in the affirmations of the book, The Choice and The Insight, the reader experiences an authentic freedom to be in whatever circumstance they find themselves in life. A New Language for Life, Happy No Matter What! shows how you can defeat day-to-day depression, struggle and unhappiness, or any ordinary bad mood. A New Language for Life shows you how to weather the winds and storms of life from a deep and abiding source of inner peace. Some of the benefits that workshop participants of A New Language for Life report are less resentment and more peace. After the workshop, they were less preoccupied with other peoples’ opinion about them and the freedom to just be. Participants felt less immobilized and consumed by the circumstances in their lives and were able to give attention to what really matters in their lives. Describe the audience for your book. Louis: The book is for anyone who is in transition in life and has a sense that there is more to life than what they are currently experiencing. The book is for anyone who is committed to a life beyond struggle and suffering, a life beyond a sense of entrapment by circumstances. The book allows you to empower yourself through the challenges you are facing in life. You are led to a place where you start to trust your own experience of life and begin listening to your own truth again. The book offers a way to reconnect with the essence of your being and a way to live according to your true nature. What personal experiences led you to write A New Language for Life, Happy No Matter What!? Louis: In essence, the idea for the book came to me by making the distinction between being, and the “I,” and by recognizing being as a separate, but invisible reality, the only reality that is in keeping with our true nature, despite what our senses, or the “I” tell us that we are. In hindsight, each event in my life has been an integral part of a journey of trusting myself and life, which allowed me to free myself from my self-imposed limitations, realizing that I am much more than what defines me, and come to an authenticity of being. How do you see A New Language for Life making a difference for people? Louis: A New Language for Life is a message of peace and oneness. A New Language for Life is a message of a higher awareness. A New Language for Life allows you to live a life that is wholesome. A New Language for Life shows you how to defeat day-to-day depression, anger, and unhappiness, or any ordinary bad mood. A New Language for Life, shows you how to weather the winds and storms of life from a deep and abiding source of inner peace. Where do you see the messages in A New Language for Life going? Louis: I see A New Language for Life becoming part of our daily conversations. People may see in A New Language for Life, Happy No Matter What! a simple and elegant design that allows them to release themselves from the entrapment in language and start living their lives in a way that is more wholesome and in an alignment with the true nature of their being. What do you see is the relevance of A New Language for Life, Happy No Matter What! in today’s society? Louis: The innate nature of being is kindness. How to get in touch with that and how to maintain that in the face of life’s daily occurrences, is the challenge. A New Language for Life, Happy No Matter What! could aid people who are already participating in some spiritual practice to stay centered in their being. Now is the time. Now there is a window in the experience that people have of our current times, an opening to look beyond the horizon of what they see. Apart from personal enlightment, there is a narrow window in the next couple of years to change the way we view ourselves and each other to sustain our fragile life on planet Earth. How do you see A New Language for Life, Happy No Matter What! is in keeping with other spiritual teachings? Louis: Anyone who has been dwelling in the possibility of A New Language for Life, Happy No Matter What! will recognize similarities with Buddhism, Hinduism, Christianity and Taoism. This book aligns with other spiritual teachings, in fact enriches other spiritual teachings. What people, philosophers have influenced you in writing this book? Louis: I was influenced by the philosopher Martin Heidegger, by Albert Einstein, and Krishnamurti, who all from their own unique perspective dwelled inside of oneness. I am inspired by the message of peace by the Dalai Lama. I have a deep respect for the wisdom of the pre-Socratic philosopher Parmenides, who spoke about unveiling the truth of oneness. How has writing A New Language for Life influenced your personal life? Louis: It allowed for my wife and I to have an extraordinary relationship. It allowed me to live a peaceful life. It allowed me to be more caring for my patients and be in touch with what really matters for them. It allowed me to step a little outside the classical paradigm of practicing medicine, which is predominantly evidence-based, and return to the art of medicine, where true caring makes a difference. It allowed me to have a great relationship with my brother and appreciate his great wisdom. It allowed me to just be grateful for the privilege of being alive. Who were your biggest teachers? Louis: My biggest teachers were my parents, my brother, and my wife and daughter. They kept me straight. Louis: Spending time with my family, traveling, reading and language. I am currently studying Arabic, and welcoming any opportunity to practice speaking Spanish. Louis: My favorite authors are historical novelists like Gabriella Garcia Marquez, John Steinbeck, George Orwell, and Ernest Hemmingway. Erica Nelson writes about happiness, and how you can get there. She wrote her first book of poems at the age of twelve and her first self-help book, Prospect When You Are Happy, in 2007. Erica’s latest book, Happiness Quotations, has just been released. Hi Erica, Welcome to Literature & Fiction. Please tell everyone a little about yourself. Erica: I was born in Sausalito, California just a hop across the bay from San Francisco. Born to parents who published newspapers, I was writing as soon as I could read. I remember my mom had sandpaper letters that I traced as a child to learn the alphabet. Later we moved a lot, almost every other year, and I spent a lot of time in libraries. As soon as we moved to a new city, I would learn where the library was located, and walk there often, carting books home. Love of reading was born inside me, and has never left. 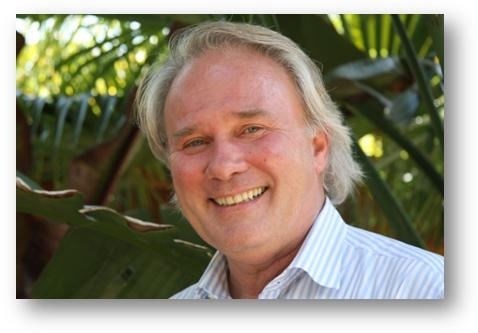 My first book was published in 2007, Prospect When You Are Happy, created for the conscious business person to create prosperity from a happy place inside. This new book Happiness Quotations: Gentle Reminders of Your Preciousness is my first book for a general audience, although many of my readers seem to be women. Erica: I can’t remember a time when I didn’t write. I would carry my journal around with me as I rode my bike and walked in elementary school. In middle school and high school, I wrote songs and wrote for the school newspaper and yearbook. Then in college, I wrote concert reviews, dance reviews, and feature stories on dance and music for the college newspaper. Straight out of college, I became a journalist and I still write a weekly column that runs in seven San Francisco Bay Area newspapers in the education section of the papers. Erica: When I started writing, I didn’t have goals. I just wrote. I have boxes and boxes of journals. I have clippings dating back to the 1980s. I interviewed Jay Leno once, before he was famous. That sounds like such a long time ago! I guess I had one goal once, “I want to be able to support myself writing in any city anywhere, wherever I want to live.” Later, as I got in tune with my spirit and soul, I wanted to write about being happy and experiencing happiness in difficult situations. That’s where my new book comes in. Erica: The vision for this book is to be one of many, as a series of passages that show up for me and then I share these visions, concepts, situations where you can navigate rough waters with more clarity, more poise, more loving approaches, more joy, more of all that good stuff and less of the drama, less sorrow, less poverty, less spiritual abandonment and more connectivity to source energy. Erica: Everyone needs to be reminded of their own preciousness. Some days it is easier than others. Erica: I write as though I know everything, and that’s kind of funny. I write from a place of connectivity to source energy, the all-knowing being within us. I’m not like this 24 hours a day, some parts of the day I am not the “me” that shows up as all-knowing author. When I speak for audiences, they can be surprised at my humility. In my books, I come across as powerful, intense, insightful and wise, or that is the feedback I have been given. Erica: I write every day, and have for about 35 years. I don’t even feel like I am old enough to say that, inside I feel quite young. My upbringing shapes me, in that both my parents wrote all the time. I have early memories of my dad hitting the typewriter keys at 5 a.m. pounding out fictional accounts of his life that never were published, although he has published several textbooks on journalism. My mom was a published novelist before her passing. This environment of “the word” being the main venue of expression is reflected in all that I do, all the time. “Happiness Quotations” belongs in every home. Each of its pages carries an uplifting, practical message that is perfect for today’s troubled world. And each message is well-written,to the point, easy for anyone to read and understand, and joyously simple to put into practice. For instance, “Trust Your Gut Instinct”, #43, consists of advice that anyone can use in their daily life. #52 tells the reader to “journal your wins’, a inspired thought, easy for anyone to apply. Author Nelson has created a self-help book that truly will enable the reader get themselves out of sadness and depression in a realistic and do-able way. This book should be at the everyone’s list of presents to give for birthdays and holidays. It is spiritual but will offend no one while helping everyone. Erica: Every day, I update my Facebook fan page with a new quotation, so that’s ongoing. My latest and greatest project is a 70-days to happiness course that I am writing. It started out as 21 days, then bumped up to 60 days, and finally is emerging as 70 days. In 10 weeks, the student will take one concept each week and have daily instructions to shift into positivity. I’m thinking of calling it Positivity Training, although it’s really a handbook to happiness. This summer will be all about the book tour for Happiness Quotations. 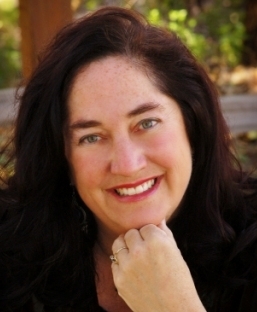 Erica: At www.HappinessQuotations.com, you can read about upcoming radio interviews, in-person book readings, as well as news on new classes and course offerings that are always virtual and work internationally. On www. Facebook.com/HappinessQuotations you can always get a daily hit of happiness.